Under Prime Minister Viktor Orban's supervision, Hungary's parliament on Wednesday approved "STOP Soros" legislation, which will criminalise aid given to illegal immigrants. The ruling right-wing Fidesz party, which has the majority of seats in parliament, also passed a constitutional amendment that says an "alien population" cannot settle in Hungary. Persons caught helping migrants not entitled to protections seek asylum or gain status in Hungary will be subject to prison. “The Hungarian people rightfully expects the government to use all means necessary to combat illegal immigration and the activities that aid it,” Interior Minister Sandor Pinter wrote in a justification attached to the draft legislation. 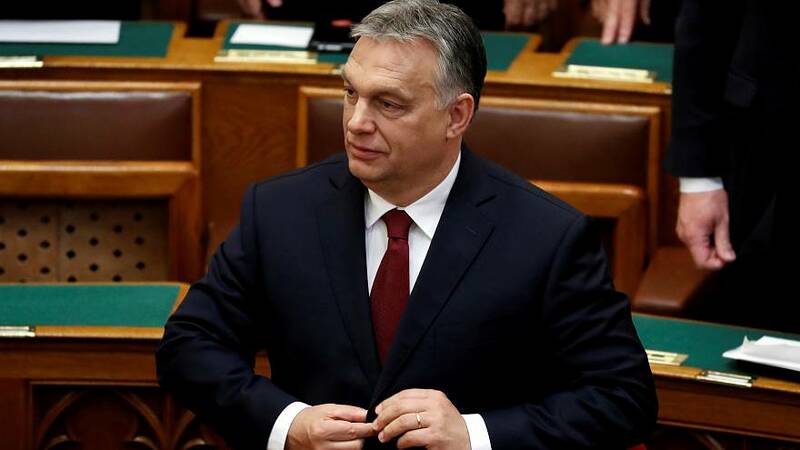 Orban and his Fidesz party are fiercely anti-immigration, having won a parliamentary majority in April on a platform criticising Hungarian-born billionaire George Soros' encouragement of mass immigration as a way to undermine Europe, a claim he denies.